The Price family has spent generations studying the monsters of the world, working to protect them from humanity—and to protect humanity from them. Verity Price is just trying to do her job, keeping the native cryptid population of Manhattan from getting into trouble, and doing a little ballroom dancing on the side. Enter Dominic De Luca, an operative for the Covenant of St. George, and Verity's on-again, off-again boyfriend. When he tells her that the Covenant is sending a full team to assess how ready the city is for a purge, Verity finds herself between a rock and a hard place. Stay, and risk her almost-certain death, or flee, and leave the cryptids of New York with nothing between them and the Covenant. With allies and enemies on every side, and no safe way to turn, it's going to take some quickstepping for Verity to waltz out of this one. There's just one question on everyone's mind: Is this the last dance for Verity Price? 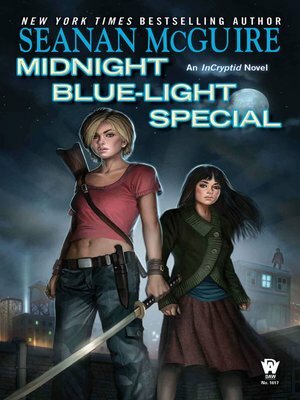 Midnight Blue-Light Special is the second installment of the highly praised InCryptid series.